Shin Chan found a shining ball by the river and brought it home. To his horror, Himawari (Shin Chan’s sister) swallowed the ball. Actually, the ball belongs to the Devil Jack and two gangs were fighting over this mysterious ball which they believed that one could conquer the world with it. 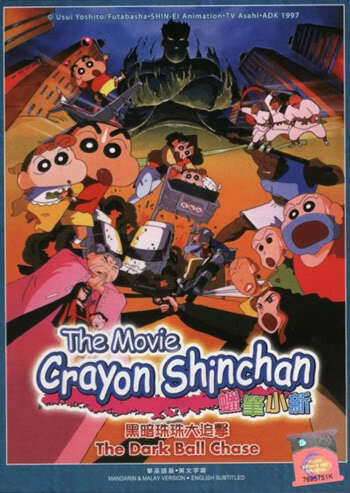 Shin Chan and his family got involved in the battle between the two gangs. Himawari was then kidnapped by King Jed; everybody was trying their best to save her. Eventually, Himawari was released, however Shin Chan had accidentally set free the Devil Jack..
cerita ni dah penah dimainkan kat ntv7 dulu kala.